That annoying cough may hang on longer than you expected, but it’s usually not a cause for great concern. Still, it leaves you wondering, "How long does a cough last?" How long does a cough last? Typically just a few days. A chronic cough, though, can wear on for eight weeks or more. Have you ever had a bad chest cold and then, for weeks after, spent much of your day coughing and hacking? After a week or so, you may have wondered, “How long does a cough last?”—and whether something was really wrong. In the meantime, the cough disturbs your sleep and makes you annoying in social situations. Coughs are right up there with cold and flu as part of the soundtrack of winter, along with sneezing and nose-blowing. According to the Centers for Disease Control and Prevention (CDC), cough is the most common symptom for which adult patients visit their primary care provider, and acute bronchitis is the most common diagnosis. How long does a cough last—or how long should a could last? You might be surprised by the answer that came out of a study conducted by several doctors in Georgia. As reported in the Annals of Family Medicine, a review of 19 past studies found that coughs last an average of 18 days. Meanwhile, most people apparently start to worry about their cough far short of 18 days. The researchers also conducted a randomized telephone survey of nearly 500 people and asked them how long they thought coughs normally last. The researchers described a few different types of coughs, including those producing yellow sputum versus green sputum, a dry cough, or a cough with and without fever. Overall, the people surveyed thought these coughs should last only seven to nine days. Short-term coughs lasting a few weeks have arise from any number of causes. For example, in acute bronchitis (bad chest cold” rel=”noopener” target=”_blank”>chest cold), the airways of the lungs swell and produce lots of mucus, which the body then tries to expel by coughing. This can be very unpleasant, but rarely requires medical attention. In the meantime, over-the-counter cough and cold remedies may provide some relief. Coughs that persist beyond two to three weeks and are causing you serious distress may require careful diagnosis and treatment with medications. In medical terms, a chronic cough is one that last eight weeks or more. Nearly 90 percent of all chronic coughs trace to three causes: post-nasal drip, asthma, and backing up of stomach acid into the throat, known as gastroesophageal reflux disorder (GERD). Post-nasal drip: In post-nasal drip, the nasal passages make extra mucus as a result of allergies, colds, or sinus problems. 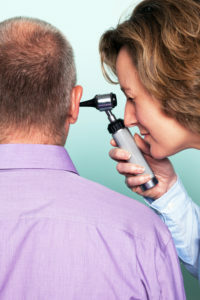 The typical symptoms are a stuffy or runny nose and a need to clear your throat frequently. As the mucus leaks into the throat—this is the post-nasal drip part—it causes irritation and triggers coughing. Asthma: In asthma, narrowing of the airways in the lungs cause wheezing, coughing, and (sometimes) shortness of breath. Asthma is the leading cause of chronic coughing in children and adolescents. In some people, the only symptom of the asthma is the cough. When and why asthma-related chronic coughs develop can vary. 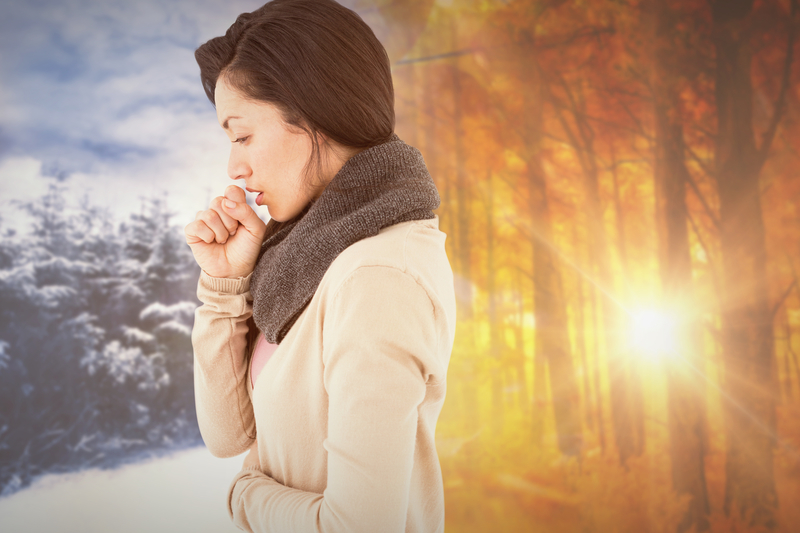 Certain odors or dry or cold air are among the factors that can set it off, or it can follow a bout with cold or flu. GERD: In GERD, or gastroesophageal reflux disease, the backing up of acid irritates the throat, setting off the cough reflex. Along with the cough, you may have a sour taste in your mouth and feel burning pain (heartburn) behind your breastbone. The acid can damage your throat, so don’t put off following up on these symptoms. Figuring out what’s causing a chronic cough isn’t simple. It may involve trying different over-the-counter or prescription medications to narrow down to the most likely culprit by a process of elimination. Sometimes an antibiotic can be the right option for coughs. If the trouble is inflamed and infected airways, you may cough up sputum having a yellow, green, or brown color. If the infection is in your sinuses, colored secretions may leak into the back of your throat. The body’s defenses can clear up such infections on their own. But if it doesn’t get better on its own in 10 to 14 days, you may need to take antibiotics. If your doctor tries to steer you away from immediately taking an antibiotic, listen. The problem is usually a viral infection; antibiotics won’t help, and can actually do more harm than good (see “Unnecessary Antibiotics” sidebar). The bottom line: Don’t be surprised if a cough lingers for weeks after a bout with cold or flu, or if your allergies are acting up. But do see a doctor if the cough gets worse, or if you experience “alarm” symptoms like high fever, bloody sputum, severe fatigue, or shortness of breath. The mismatch between how long coughs last and how long we think they should can lead to unnecessary doctor visits and requests for antibiotics. The antibiotic doesn’t usually cure the cough, since most coughs trace to viruses and antibiotics only kill bacteria. Yet prescribing of antibiotics for cough is still too common, despite a downward trend. Part of the reason is the power of coincidence. Say you go to a doctor after a week of coughing and get a prescription for antibiotics. You start taking them, and after three to five days you start to feel better. Was it the pill or would you have recovered anyway? You have no way to know. allergies, antibiotics, asthma, bacteria, bronchitis, children, cold and flu, cough remedies, flu, gastroesophageal reflux, gastroesophageal reflux disease, gerd, health, heartburn, honey, infection, mucus, nasal drip, natural cough remedies, pain, reflux, runny nose, severe fatigue, shortness of breath, sinus, sinus problems, sleep, stomach acid, viral infection, wheezing. A good article to read. I wanted to know is there any home remedy to get rid of cough n cold for a 1 and a half year old kid.Waiting for your reply. Hello, most children’s cold and cough medications sold over the counter are not recommended for children under the age of 2, so it’s best to contact your child’s pediatrician. I thought you might be interested in this article on https://universityhealthnews.com: How Long Does a Cough Last?